1.Made of durable, soft foam and rubber material, will not hurt your kids and make them enjoy games in the meantime. 2.As outdoor toys make a cool group game for boys, girls, adults. 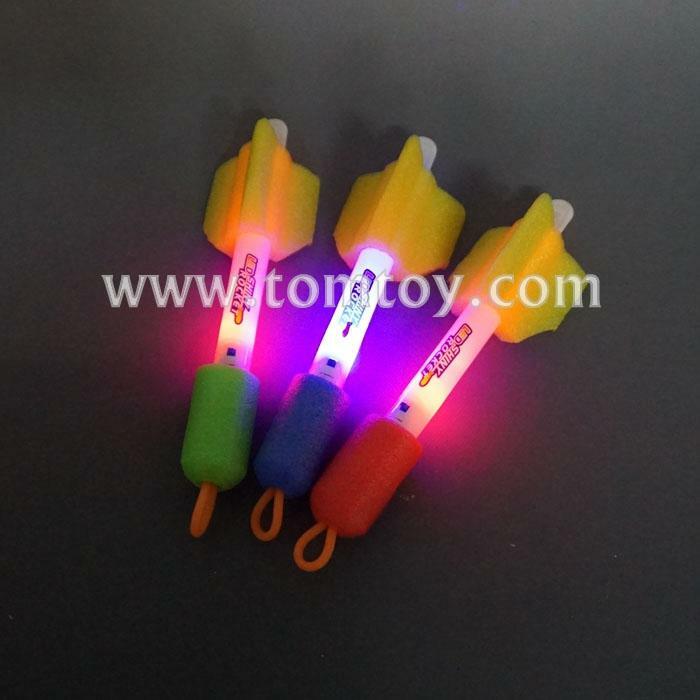 Let your kids have a great time with this LED toys at the birthday party, beach holiday,camping trip,or children's get together. 3.Provide 3 different color slingshots. Kinetic energy using a rubber band to store energy when stretched to change it to kinetic energy when released to shoot and catapult launch a foam rocket at targets. 4.Kinetic energy using a rubber band to store energy when stretched to change it to kinetic energy when released to shoot and catapult launch a foam rocket at targets.